Folks, reason this is out of stock is we are revamping to release a third edition of this guide! Thanks for your patience! We plan to release this in March 2019 to prepare for the 2019-2020 examination season. Categories: Courses, Print Study Guides. Tags: FL, FL MPJE, Florida. 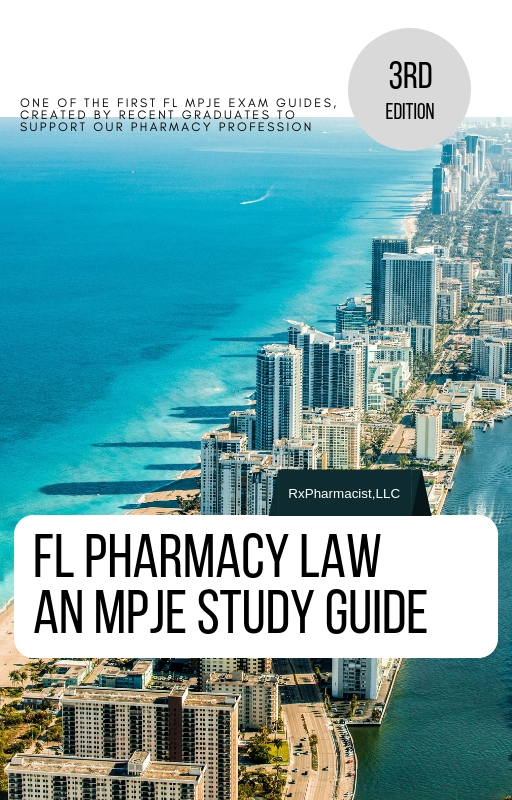 This is a simple, easy-to-study guide to current federal and Florida pharmacy law. It is designed to help you review the most important federal pharmacy statutes and regulations, including the newest changes that no other book currently reviews to ensure you have the most recent laws to study from. This book assists candidates in preparing for pharmacy law examination in Florida. It also includes over 170 practice Federal and Florida law questions and answers explanations.